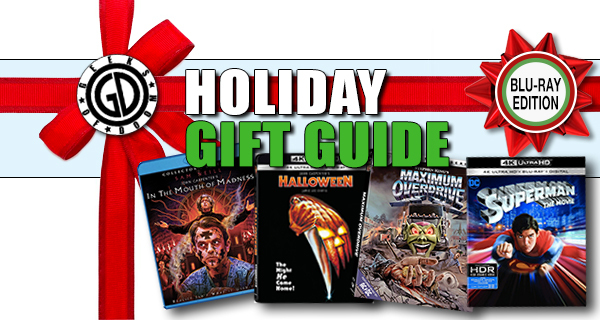 This weekend, the Showboat Hotel in Atlantic City, NJ, hosted the New Jersey Horror Con and Film Festival. Fans packed in to meet and greet their favorite celebrities, take photos, shop the vendor tables, and indulge in Q&A panels. The panel area opened up Friday night with a dynamic duo from Ash vs Evil Dead as stars Dana DeLorenzo (Kelly Maxwell) and Ted Raimi (Chet/Henrietta) took to the stage… or should I say took over the stage. Despite the series being cancelled by the STARZ network earlier this year, DeLorenzo had one of the most consistently packed lines at NJ Horror Con and there were plenty of Ash cosplayers. They gave the fans a hell of a fun time during their panel’s Q&A. Bruce Campbell has played Ash Williams in the Evil Dead universe longer than I’ve been alive, and I’m 36! Through an epic cinematic trilogy that took him from battling deadites in a cabin in the woods to fighting his evil twin in Medieval Times, Ash has faced it all and won in groovy style. 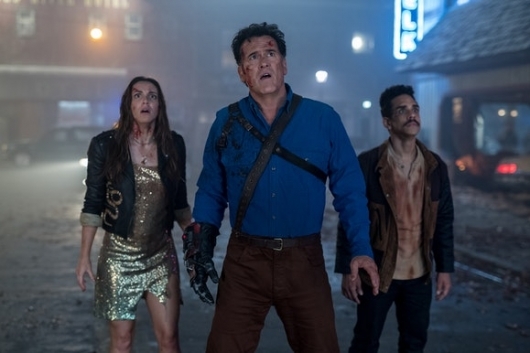 On Halloween night in 2015, the Starz network opened the Necronomicon and resurrected Ash as part of a 10-episode series, Ash vs Evil Dead. 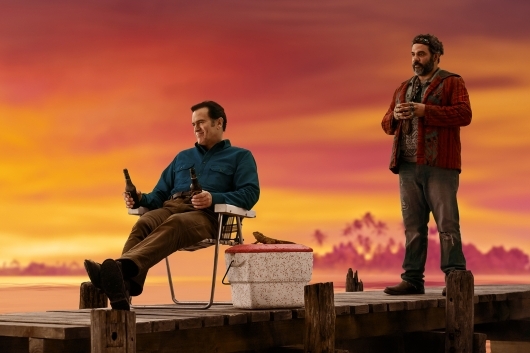 For three glorious blood and booze soaked seasons, the creators of the original film delivered one of the best shows on TV, capturing the gore and wittiness of the films while creating new amazing stories and characters. Horror fans were dealt a painful blow earlier this year when Starz announced they would not be renewing Ash vs Evil Dead for a fourth season. 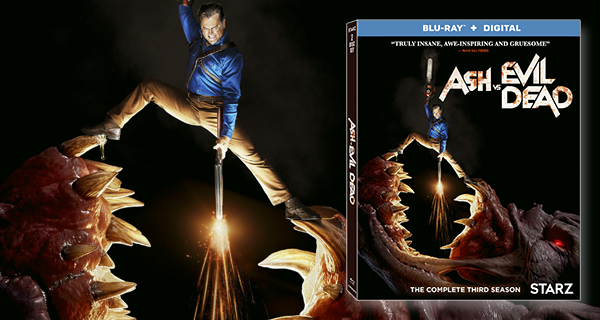 While Bruce Campbell has officially retired from the role, laying down the noble chainsaw and boomstick for good, you can now take home Ash’s final ride with the Blu-Ray release of Ash vs Evil Dead Season 3. This is it. 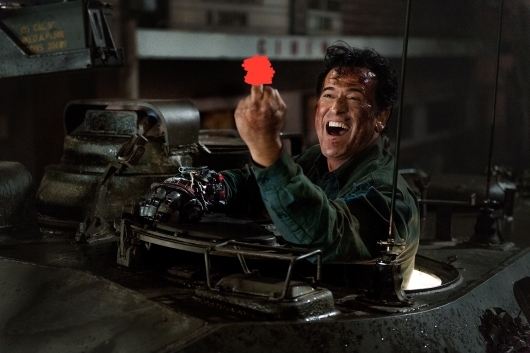 The bittersweet conclusion to my all time favorite show to grace the small screen, Ash vs Evil Dead. Word came out a few weeks back of the decision by STARZ to cancel the show after its third season due to lackluster ratings. It certainly was not due to the quality of the show as season 3 has peaked the series in terms of gore, effects, emotion, and character development. 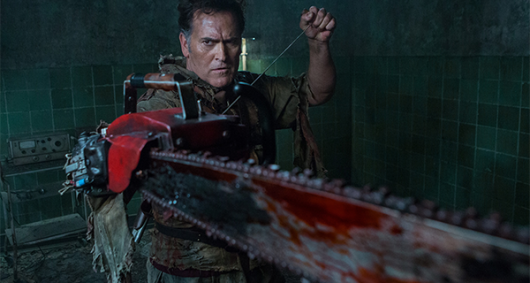 Even Bruce Campbell who has portrayed hero Ash Williams for nearly 40 years, announced on social media his retirement from the character once word came out. I’ve lived and died with this show, the actors, and its fans since day one. I had the honor and privilege of interviewing the cast members several times over the past 3+ years, and it was my favorite part of NYCC each year. Bruce and the rest of cast assured everyone, that the finale was epic. So with that in mind, and a wide range of emotions in my heart, I cover the finale of Ash vs Evil Dead. 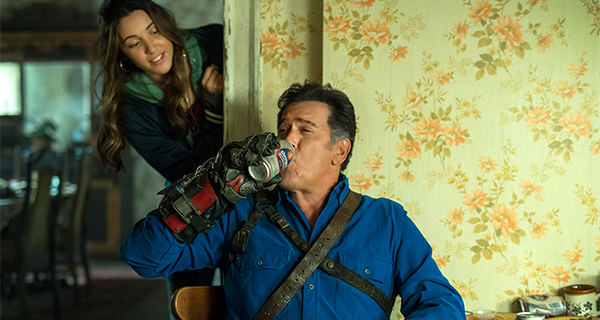 Though not at all surprising, the news that Starz has decided to cancel Ash vs Evil Dead after three seasons was no less devastating to fans. And the news doesn’t get any better. For anyone who was hoping that now that the show has been canceled it might find another home or perhaps even lead to that fourth Evil Dead movie—which was whispered about here and there over the years after Army of Darkness, before the 2013 reboot and eventually the TV series arrived—that’s not going to happen, sadly. Bruce Campbell, who played Ash Williams in the original film trilogy and on Ash vs Evil Dead, has announced that he is retiring from playing that role after nearly four decades. Campbell made the announcement in a farewell message to fans, which you can read below. Way back in October of 2015, I sat amongst thousands of Evil Dead fans at NYC’s Hammerstein Ballroom for the Ash vs Evil Dead panel at that year’s NYCC. After giving us a screening of the pilot episode, Bruce Campbell and Sam Raimi spoke frankly and honestly about why they chose the STARZ network for the next phase in the Evil Dead universe and how the fans would ultimately decide the fate of the show. Simply put, after three seasons, the viewership just wasn’t there. With two episodes to go in what’s been an absolutely incredible Season 3, STARZ announced today it would not be renewing Ash and friends for a fourth season. If you were waiting for Season 3 of Ash vs Evil Dead on STARZ to get REALLY bloody… first off, what’s wrong with you?!?! But secondly, holy crap this is the episode for you! Last week we got the crazy Kelly vs. Ruby brawl that led to Kelly (Dana DeLorenzo) being killed in a moment that shook the AvED universe. Ruby (Lucy Lawless) used her body as a vessel to bring Kaya back from the Rift, a place on the other side where Kelly now resides. 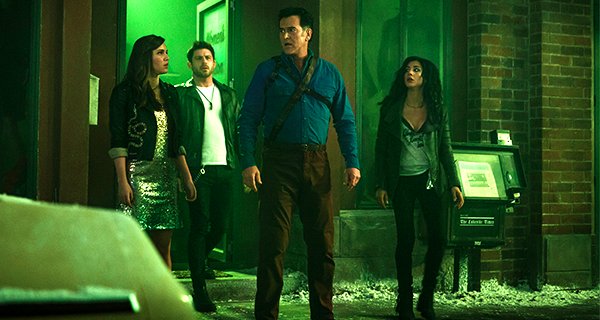 Meanwhile, Ash (Bruce Campbell) and Pablo (Ray Santiago) accidentally opened the Rift in the hardware store basement leading to a bloody confrontation with demonized Knights of Sumeria. 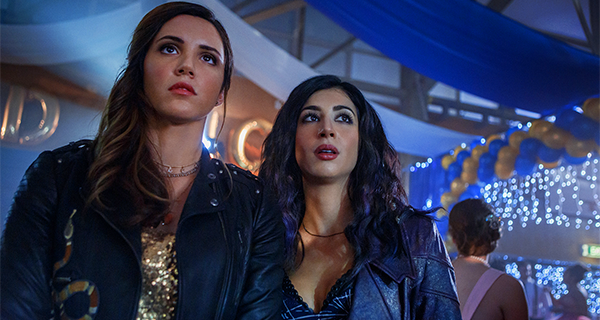 This week, Ruby puts her plan in motion to stop Ash once and for all.